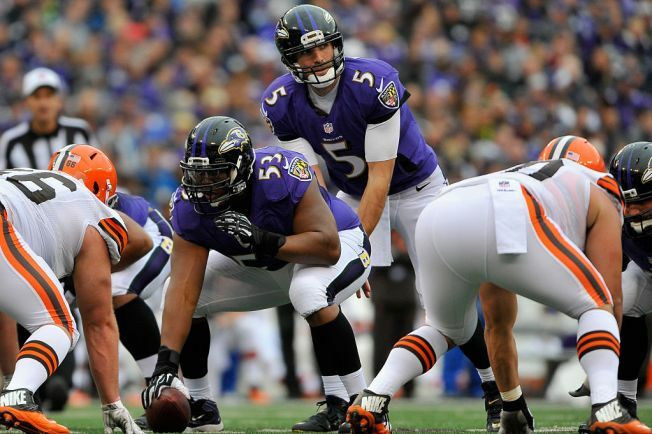 In Baltimore this past season, center Jeremy Zuttah was elected an alternate to the Pro Bowl. But the 30-year-old veteran from Rutgers is due to make more than $3.5 million in 2017, so the Ravens were expected to release him to save money. Instead, they’ve traded him to the 49ers in a deal in which the teams also exchanged sixth-round picks in the upcoming draft. The deal by new 49ers general manager John Lynch adds some depth to the middle of the 49ers’ offensive line and competition for holdover starting center Daniel Kilgore. Both Zuttah and Kilgore have played guard, so whichever player loses the competition at center could help at the other position. Kilgore is the more cost-effective player, however. He is due $1.7 million in 2017. In 2016, Zuttah was ranked by the analytic website Pro Football Focus as the 14th-best center in the NFL.